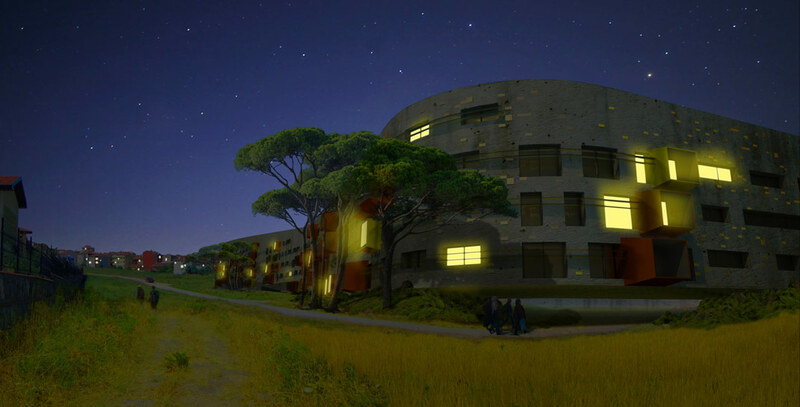 This project is located in Istanbul suburbs on an weakly inclined ground, once covered with a pinery. The fast urbanization of Istanbul and its periphery shows lots of concrete buildings and the progressive disappearance of nature. 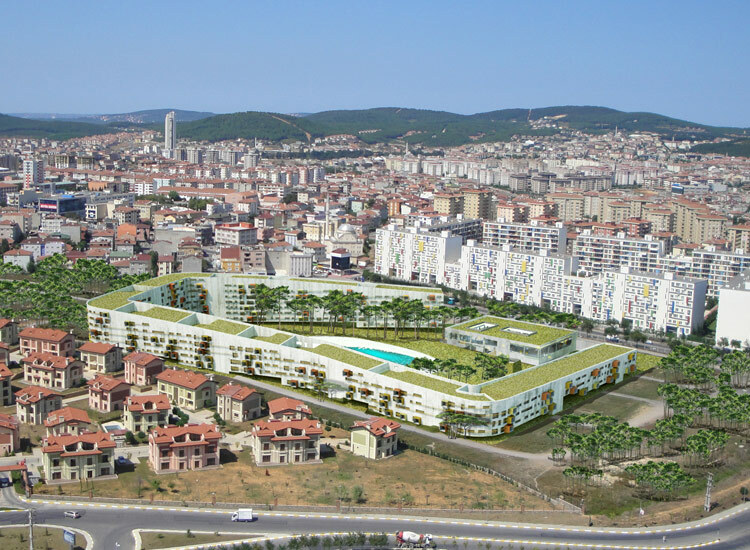 Our proposal is surrounded with condominiums with their electrified fences. 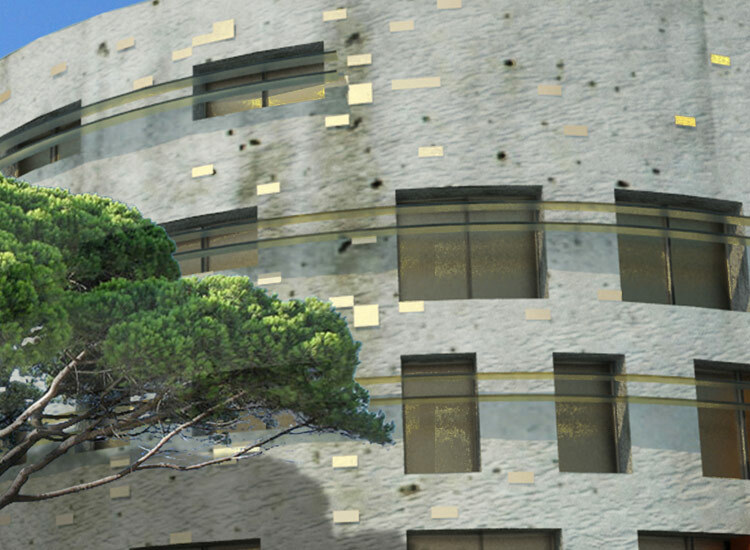 We propose a porous project, opened to the city and plant new pine trees all around the new apartments building. 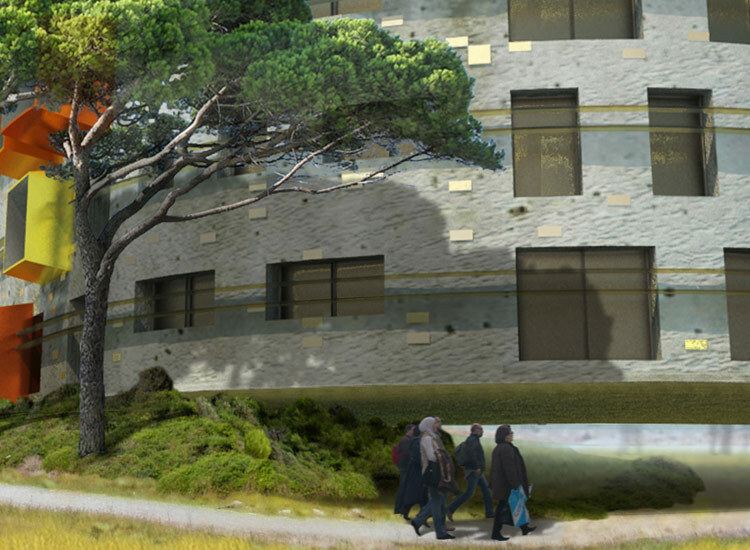 At the core of the parcel and the pinery, a new ecological and collective swimming-pool. 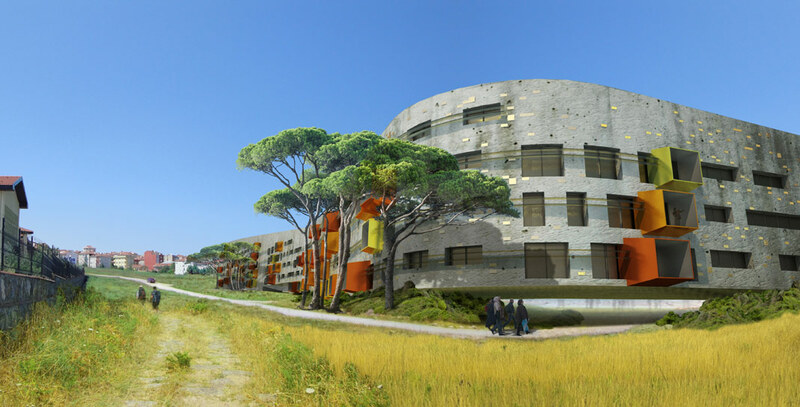 The whole project is cladded with concrete inlaid with faience, inspired by Klimt and his journey in Byzantium.